Fabulous turn out for our Quarter 1 Business Forum, focusing on LinkedIn. 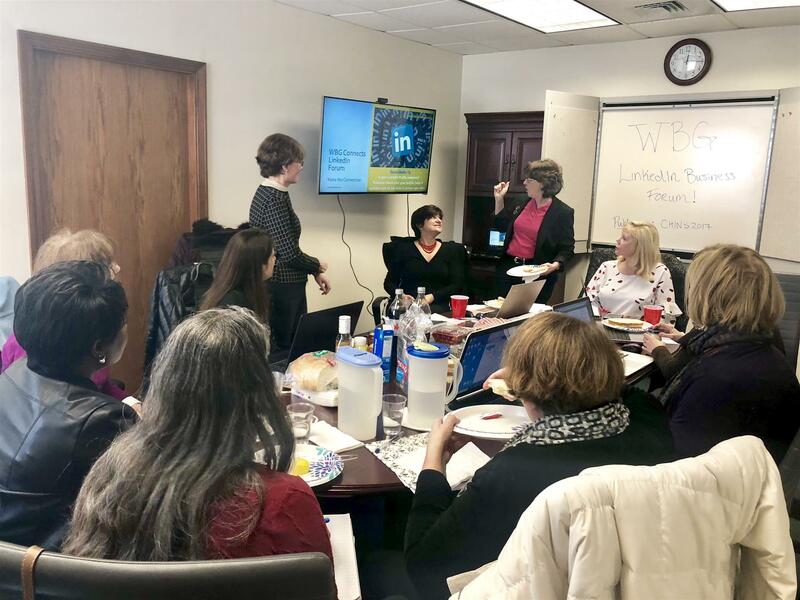 Thank you to our Business Forum facilitator Diane Patriarca for organizing WBG Members Jackie de Boer, Lucille Fisher, and Jackie Clark to elaborate on their professional skills in social media, marketing, and writing and describing how to apply them to your LinkedIn profile. In addition, we learned some pro tips on how to utilize the platform to expand our reach and our resources, as well as some Do's and Don'ts. Need some help perfecting your LinkedIn profile? WBG has the talent, reach out to our speakers to utilize their professional services.